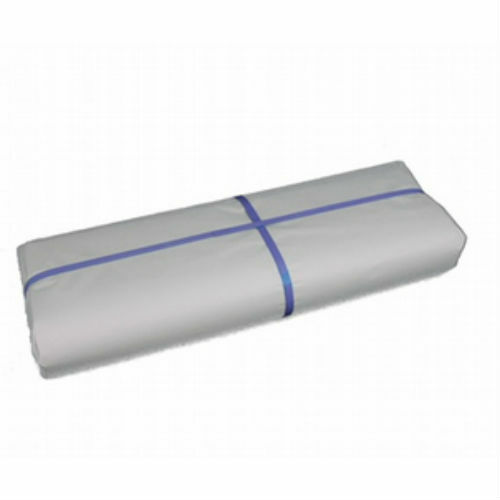 Used by the removalists and storage industry for wrapping & covering furniture in removal trucks. 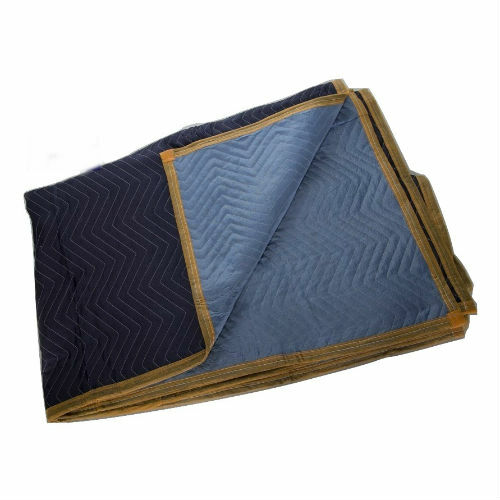 10 X Heavy-Duty Furniture Blankets are used by the Moving and Storage industry. 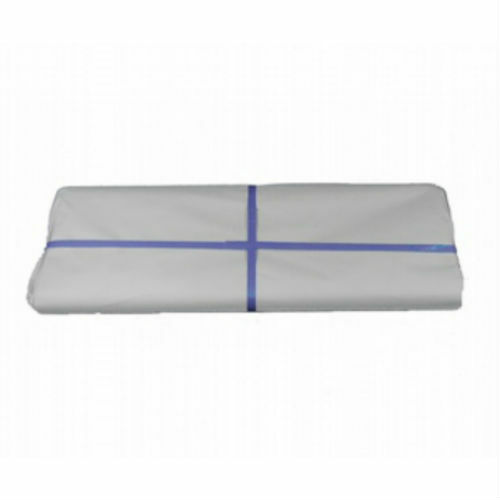 Furniture blankets are used to wrap & covering people’s furniture in removal trucks to protect their items during transport. 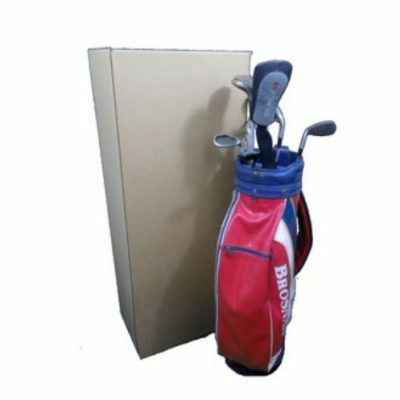 Other professional such as Cabinet makers, Sign writer and Builders. 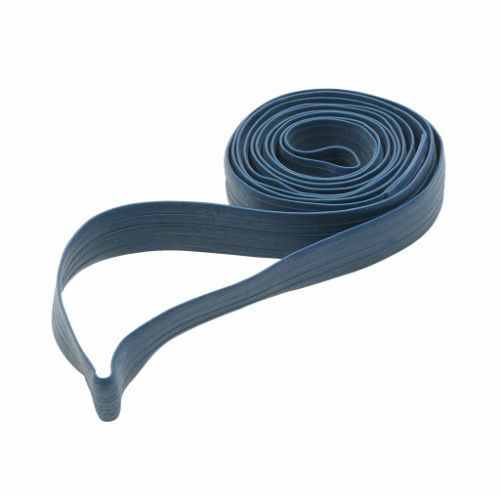 To protect their products from damage whilst traveling from the workshop to the work site. 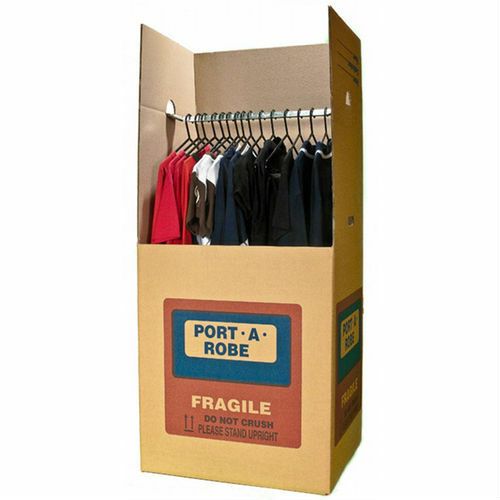 it offers a Protection padding between items while in long term storage, when storing large and bulky items in tight space’s. 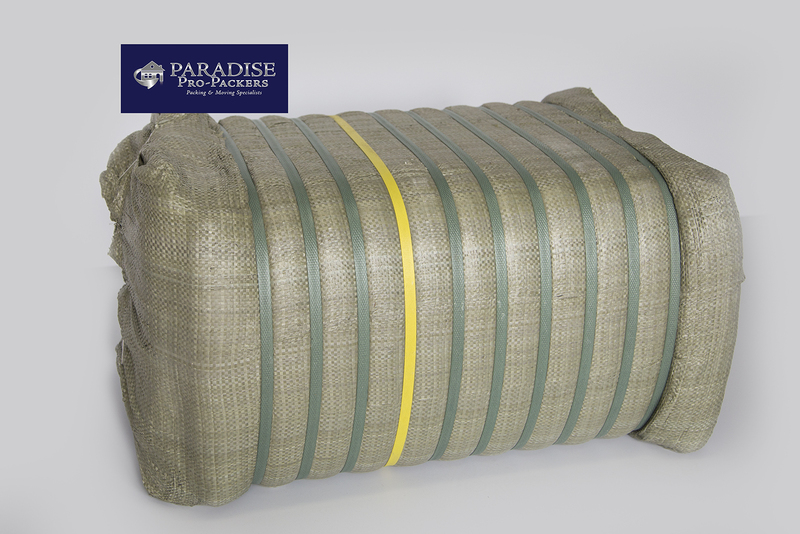 Heavy filler and woven design offers long lasting protection. 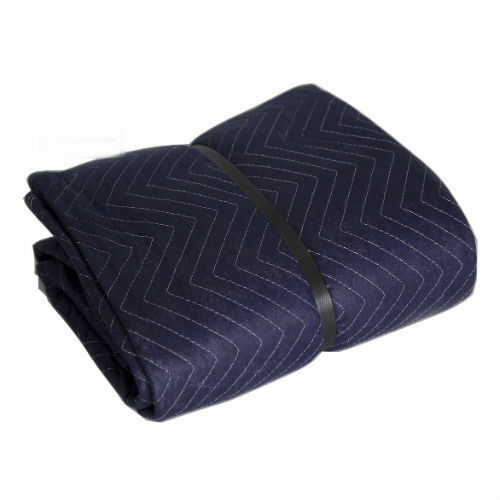 Heavy-Duty Woven outer layer is zigzag throughout to help reduce tearing and ripping during use, longer lasting. 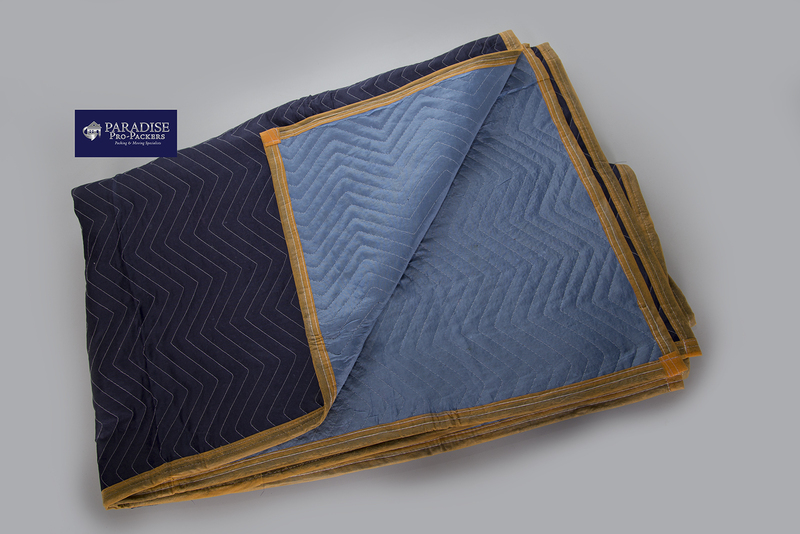 Dark blue on top/ light blue on bottom with yellow trim, White zigzag stitching. Dimensions: 3.4 meters x 1.8 meters. the higher the GSM. The higher the GSM, the thicker it is. Postage is available for this item . please contact the office to find out the cost of postage. Don’t see what you need. Give us a call on 07 3806 4793 or 1300 70 77 80 and we will see if we can order it in.